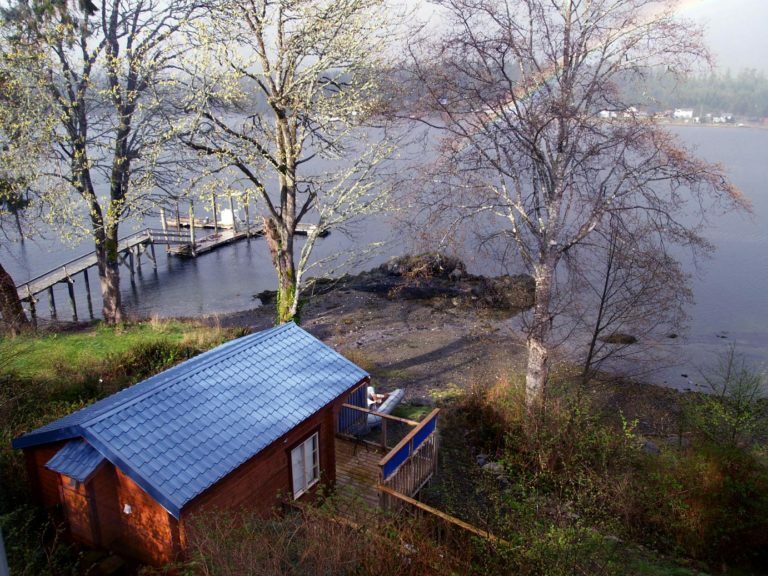 Two cozy waterfront cabins and one waterfront suite on a half acre property on Ucluelet Harbour. Each unit sleeps two with a queen bed, very private, kitchenette, fireplace, deck facing water with a Jacuzzi soaker tub, barbecue and bistro set. Walking distance to town and amenities as well as the Wild Pacific Trail. Pet friendly. Rates include a self-catered breakfast. Initial breakfast supplies are included in the unit: coffee, tea, milk, sugar, eggs, English muffins, and orange juice.